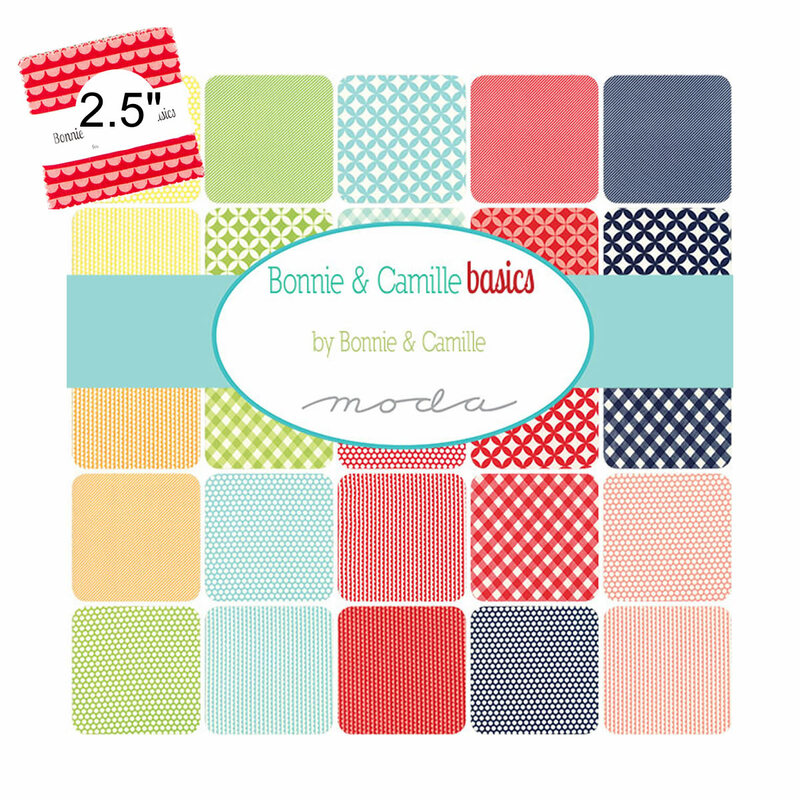 This mini charm pack is from the Bonnie & Camille Basics range by Bonnie & Camille for Moda. It contains 42 squares of fabric each measuring 2.5 inches by 2.5 inches. Some fabrics may be repeated.